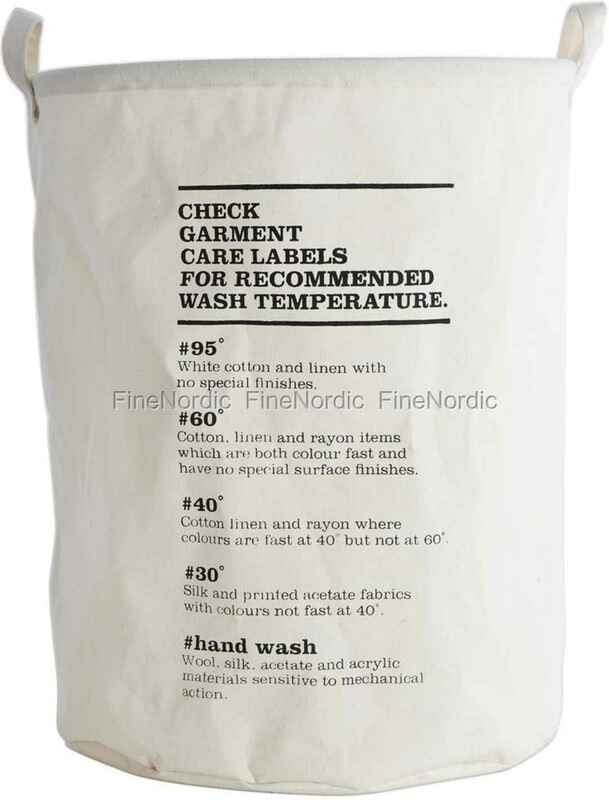 The House Doctor laundry basket is not only super practical, it also comes with wash instructions printed on it. It is the perfect gift for the one who is moving out for the first time, or the one going off to college. You can carry the basket by its two handles and when in doubt, at what degree to wash the clothes in, then just read the instructions on the basket. The House Doctor laundry basket Wash Instructions will be a goodlooking laundry helper in your home, in a student’s dorm room or a young adult’s first apartment.